Snoring problems are not something to be overly concerned about, unless they are disrupting you or your bed partner in sleep. But snoring sound may be a sing of sleep apnea, a sleep disorder in which breathing is briefly interrupted, while you sleep. There are mainly three types of sleep apnea the central sleep apnea (CSA), the obstructive sleep apnea (OSA) and mixed sleep apnea. Among the three the OSA is most common and happens when throat muscles collapse and close. It blocks the airways and causes halt in breathing which is known as apnea. Apnea means without breath. 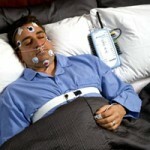 For obstructive sleep apnea usually the positive airway pressure therapy is recommended. The therapy is given through a mask the CPAP (continuous positive airway pressure mask) which delivers the pressurized air that prevent apnea form taking place. But, with the apnea mask it is very important that it is comfortable and properly sealed for the airflow as desired air pressure does not establish if the mask is not fitted correctly. 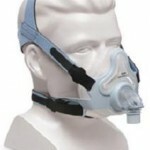 Moreover, a well fitted mask uses the PAP easier. So, while seeking for a mask make it sure that it seals over your nose and the straps are not too tight or loose on you. The style and size (a small or a medium) of the mask is your personal preference. Patients who use CPAP mask for sleep apnea during their slumber hours report for a significant improvement in their blood pressure, cholesterol, blood sugar level and also in visceral fat (the stomach fat). The factors closely related with our sound heart health and metabolic syndrome. CPAP masks are available in all sizes, shapes and style such as nasal masks, nasal pillow masks and face masks, at variety of venders. All of them are equally effective in obstructive sleep apnea. The delivery system you choose is very personal but we recommend you to try on a variety of different types. The sleep experts suggest the patients to choose one or two different types and try them out a few nights to check whether they are comfortable on them otherwise change or try a different one. Most of the time patients complain for irritation with the mask. Normally, it takes few weeks time to optimize the adaptation. To Whom Should You Call If There Is a Problem? 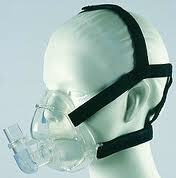 Like with every other equipments, CPAP masks may also have technical problem. The best would be here to check in with the manufacturer or dealer of the equipment. You may also ask your doctor or the sleep lab for the troubleshooting if the problem is in the mask fit or the pressure adjustment. They may not help you if the problem is in the working of the equipment but would sure recommend you to a place where kind of troubles in the equipment are rectified.